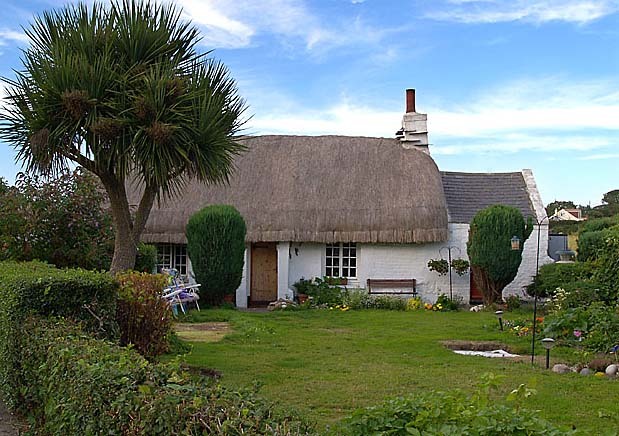 Thatching on this island, strictly follows a Highland tradition. 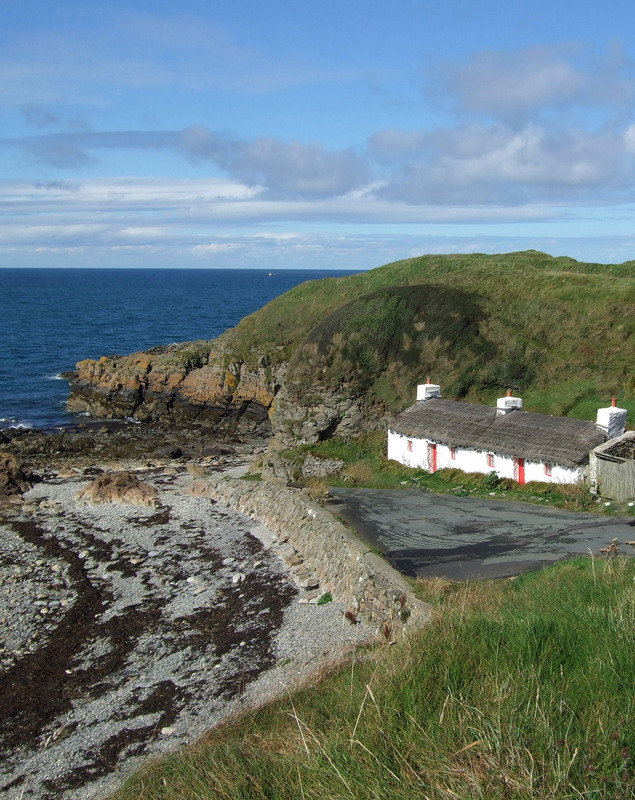 Very similar to work in North West Ireland, in Argyll and some of the Inner Hebrides. 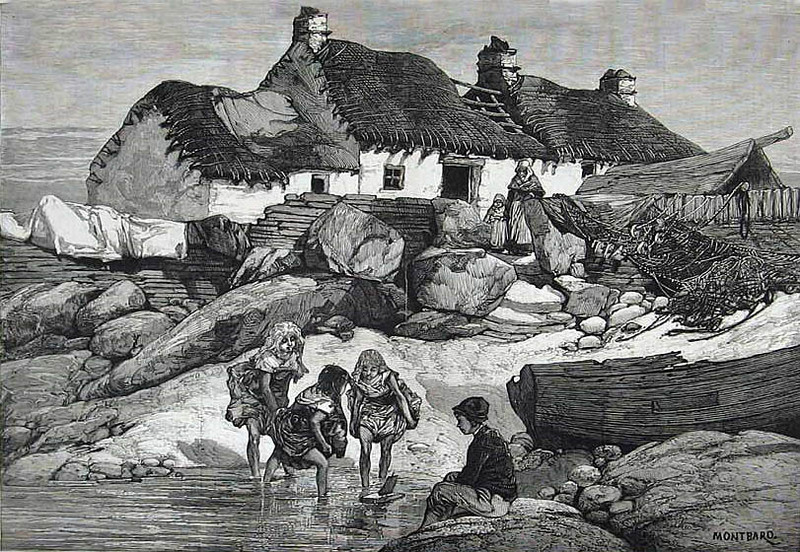 Old images show a very consistent method of work, throughout the island. 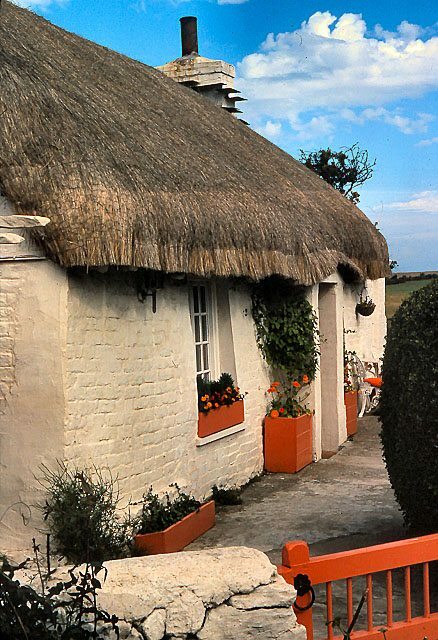 A good thickness of directional thatch; which is roped and tied firmly to the walls, around the edges of the roof. 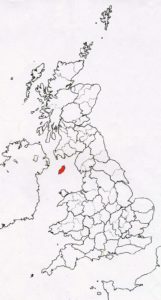 Locally called Sugganes, in Manx Gaelic. 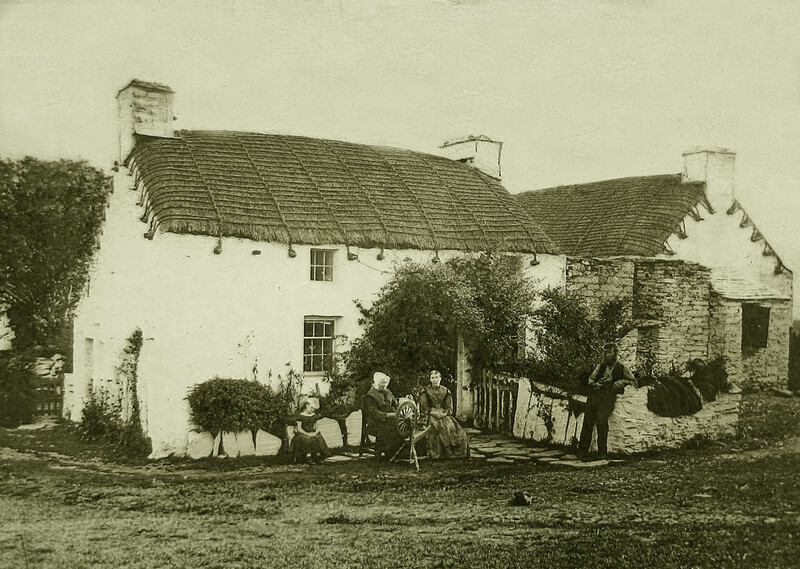 These ropes were once of straw, Mr Quayle, in his agricultural report of 1794, noted that the life of the roof was only a couple of years, due to: ‘the decay of the straw ropes’. This type of fixing goes back a long way, on Man. 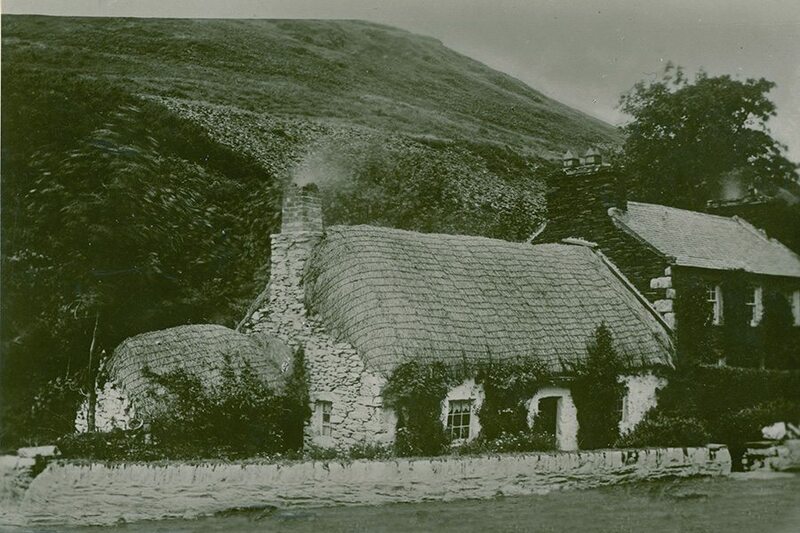 Projecting stones, or Bwhid Suggane; to which the roping was attached, were noted on the wall top, of the very ancient church at Ballahimmon; many years ago. 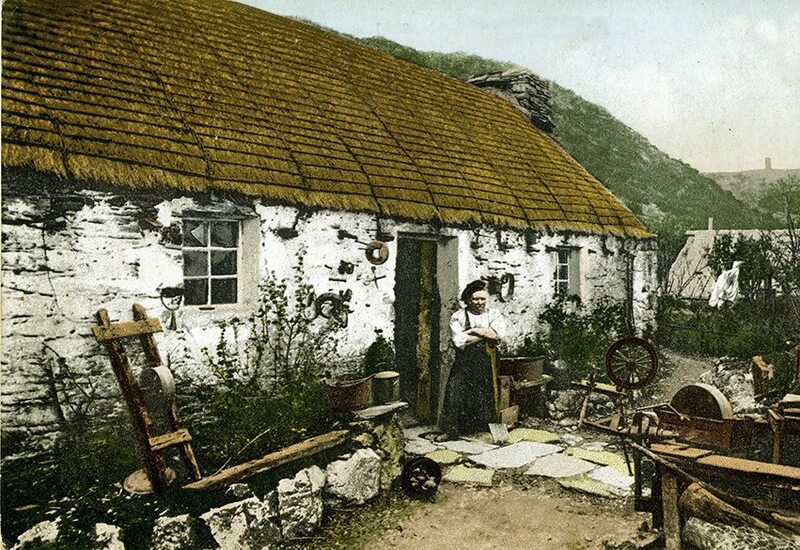 As in other Highland areas, wire netting replaced most roping; in the mid twentieth century. 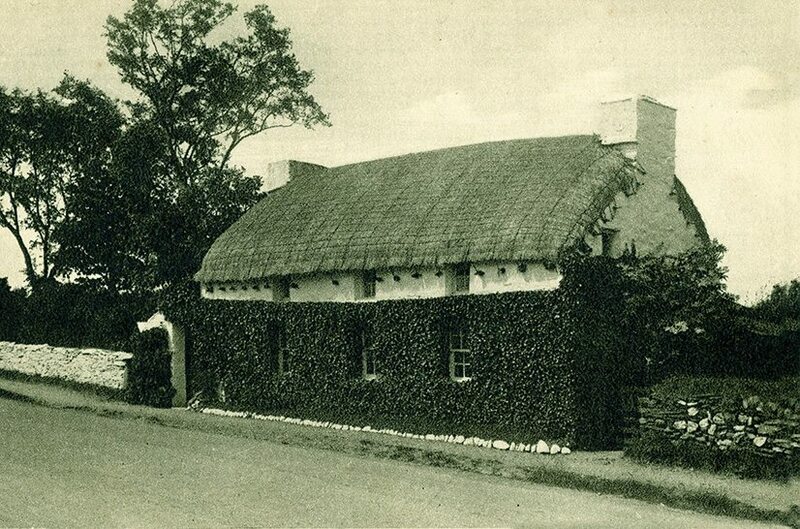 Wheat straw, was the preferred material in the south of the island. The north made use, of the extensive areas of marram grass, that grow there. Known locally as Bent. 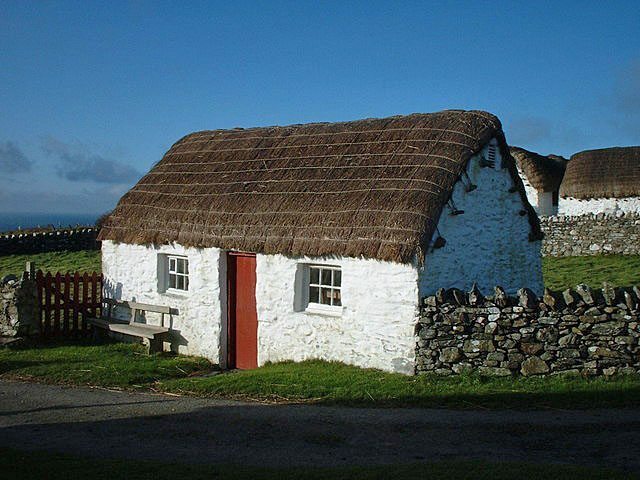 As ever, other materials were used, especially heather and gorse; or freoagh and aittyn, in the Manx Gaelic. 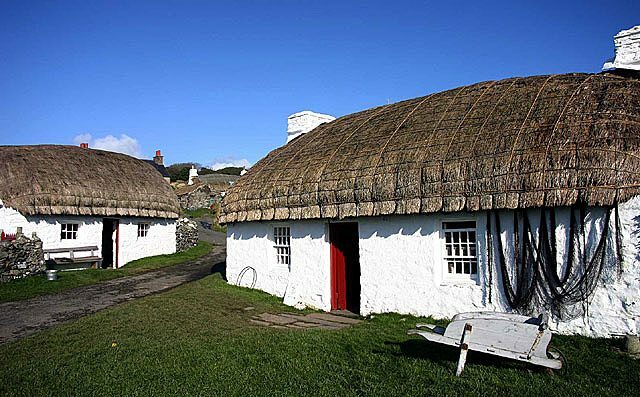 Two of the few Manx thatches, outside a museum… at the other end of the island from Cregneash, at Cranstal. 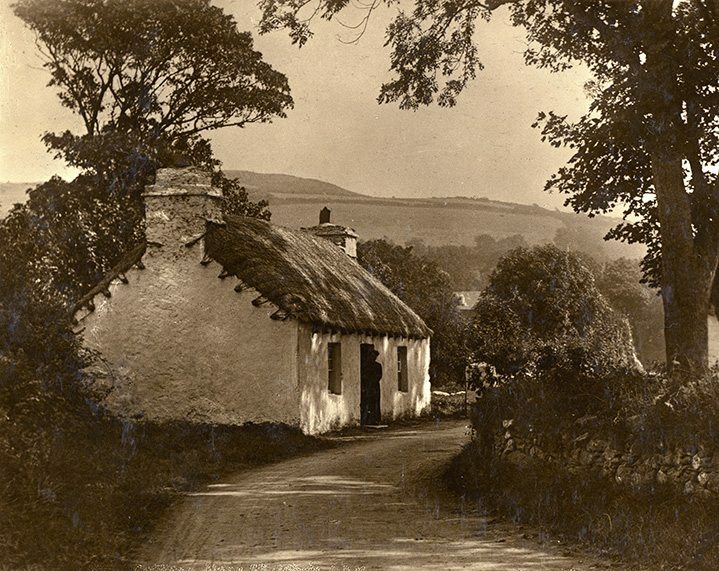 ‘Pete’s Cottage’, near Ramsey. With ‘Old Pete‘, in reality one John Kennish, outside. 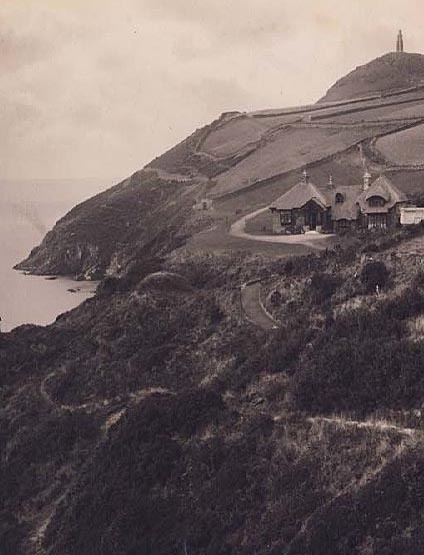 The hero of a well known novel of the time, ‘The Manxman‘; was said to be based on him. 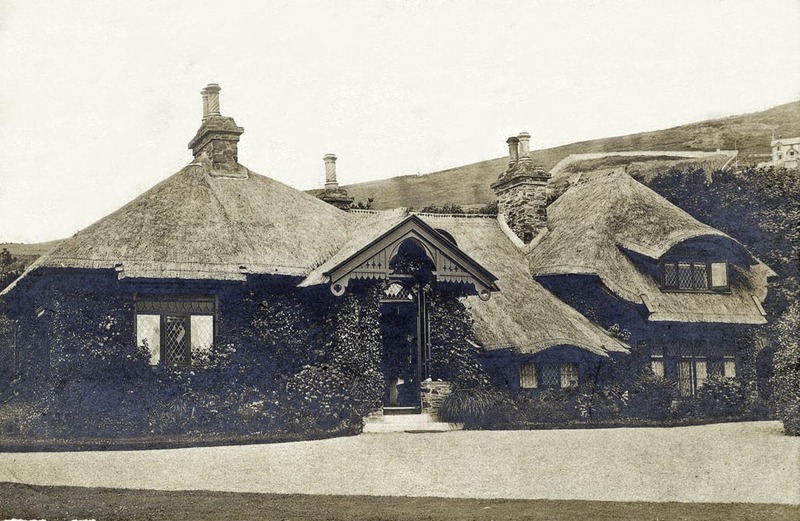 A less famous cottage, at Glen Helen….